Headroll, Golmang, JoelT and 8 others like this. Hi @cskippy, mind if I ask for subjective impressions of the Brainwavz Angled Velour and the Ori Suede? Those seem like I might like em. Thanks for taking the time to measure these! Angled Velour pads have the better frequency response. Their mid range is very good and the velour really helps to absorb some of the high frequency energy present on HE-500. The Ori Suede is actually closer to some of the leather pads as it uses a pretty dense memory foam. They are more comfortable but have less natural mids and treble has a touch more energy. Another option is the Perforated Ori pads. They have that downward slope I like and breathe better than the other too pads. You could use some drawer liner if they are slightly too bright for you. Been listening to a couple of the better performing pads with HE-500. TwoEars, Lyer25 and Darren G like this. That still looks rolled off highs to me. I guess that is what you like. To me the Focus A pads look A bit the best to me. I guess there is no way to remove that dip around 2K. Are those different from the Jerg pads for HE-500? I no longer have them. Little bit of a late reply but I kind of agree with all of that. 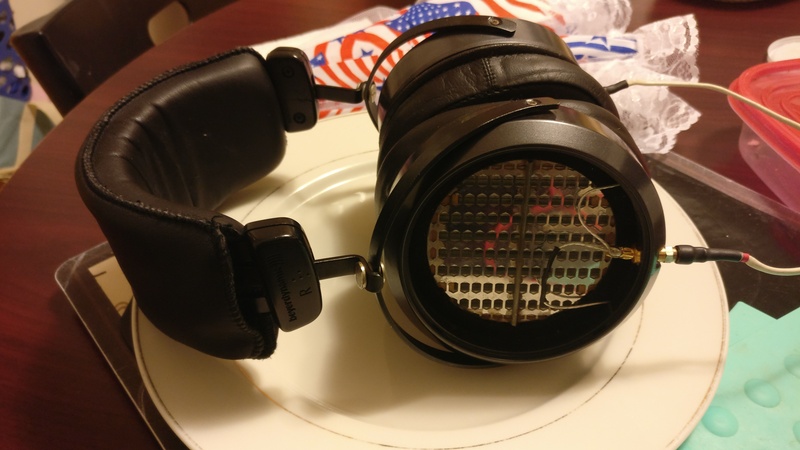 The HE-500 is also one of my favorites, and despite the myriad of Hifiman models that has come after the HE-500 I haven't heard one that I like better. Though there are so many I haven't heard them all, and I haven't heard the HE-6 or the shrangihowfuckingmuch. I also agree that the HE-500 has a powerful, smooth, dark-ish, seductive almost dreamlike character that I haven't really heard in any other headphone. My Depeche Mode collection has rarely sounded better than with the HE-500. And while the Eikon is very nice, and has a similar tonality, it doesn't really do this "seductive dreamlike thing" that the HE-500 does. 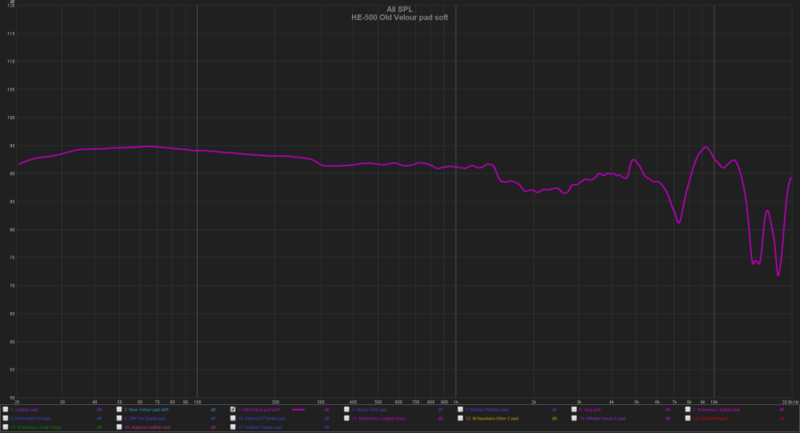 The Eikon sounds like a very good "normal" headphone, but with the HE-500 you listen and you just know there's a bit of planar magic in there. Other points on the HE-500.... soundstage is meh, comfort out of the box is 'uncomfortable', build quality is 'I bet this would break if I dropped it'. So it's by no means a perfect headphone. And like most planars it's also completely open so everyone in the house will know what you're listening to. 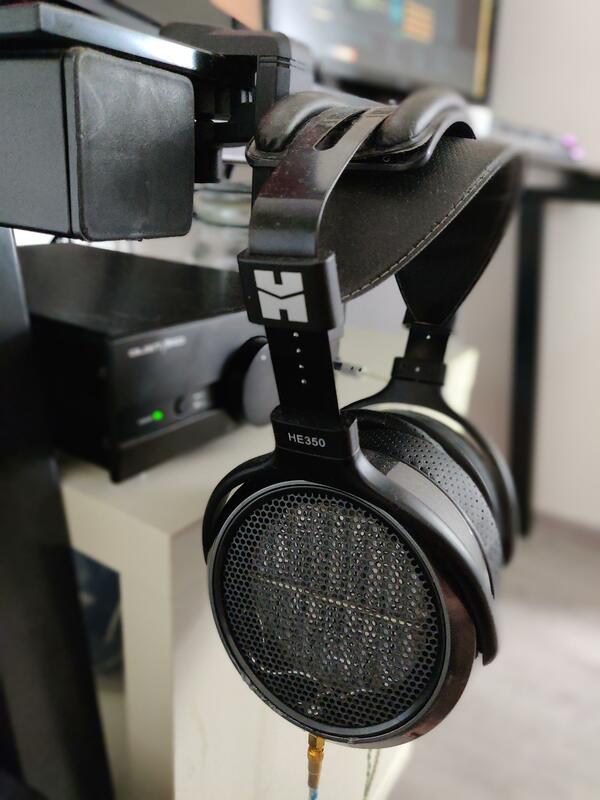 I rate the HE-500 clearly above the HD650 in terms of sound but well below it in terms of everyday comfort and usability. You want maximum sound for you buck? Go HE-500. You want ease of use, comfort and German build quality? Go HD650. 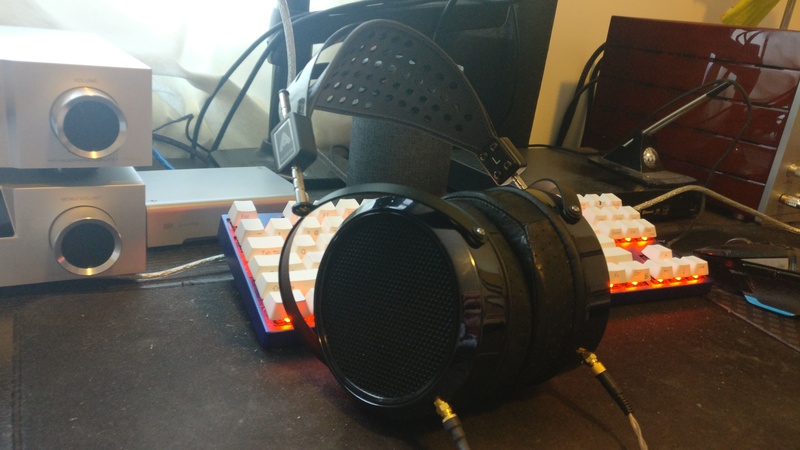 In the end I sold my HE-500's and went the modded HD800 route, overall the combination of comfort, build quality, soundstage etc makes the modded HD800 an upgrade for me. But it has taken a lot of money, research and fiddling to get the HD800 to where I wanted it. With the HE-500 I was more or less happy with the sound out of the box except for the soundstage. So yes, if you're an audiophile on a budget a second hand HE-500 is about as good as it gets in terms of value. Golmang, RiddleyWalker, wormcycle and 5 others like this. I totally agree about the dreamlike character. I've always felt it had this holographic quality to it that I have yet to hear in another headphone. Far from the most comfortable headphone I've tried, it makes up for its heaviness and discomfort with an amazingly musical experience. 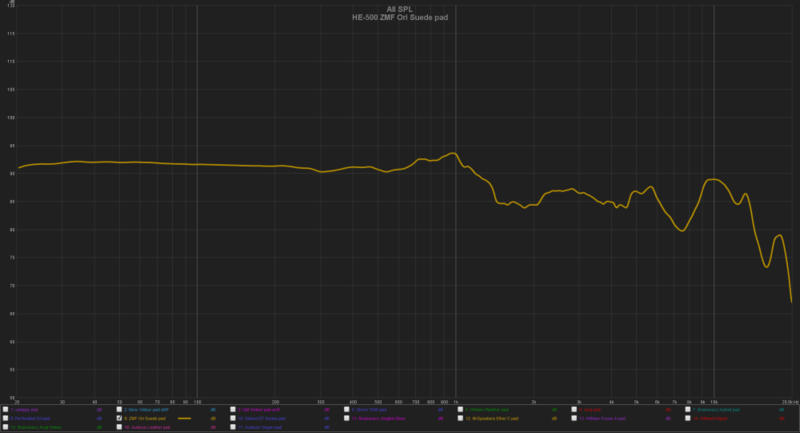 Funny because I just had a chance to hear the HE-500 again. Probably HFM's best headphone ever (that is off the shelf or with minimal mods, and without the need for a power amp) with a speakerlike or as @udin says, a holographic like presence. We need Massdrop to bring this back and sell 2000 of them. Massdrop isn't completely evil. They can do some good too. Gofspar, Jerry, rtaylor76 and 5 others like this. Pretty sure the HE-500 you heard was the one I loaned to Christian. For me, with the way I have that headphone setup (band, pads, cable) make it the perfect movie headphone. I never have to worry about bugging the neighbors. I drive the headphone from the "B" speaker outs on my speaker amp and can't ask for much more at that price. There are other headphones and headphone rigs that can do similar things, but none that I know of that can be found for $300-400 bucks second hand. Lyer25 and Darren G like this. I ended up replacing the HE-500 with the AFO. The AFO takes the dreamy quality of the 500s and bumps it up 1000x. It's not a "better" headphone, but it scratches that particular itch and I still have the 650s for when I need/want something a little more straightforward. I'd be all over a massdrop reboot. 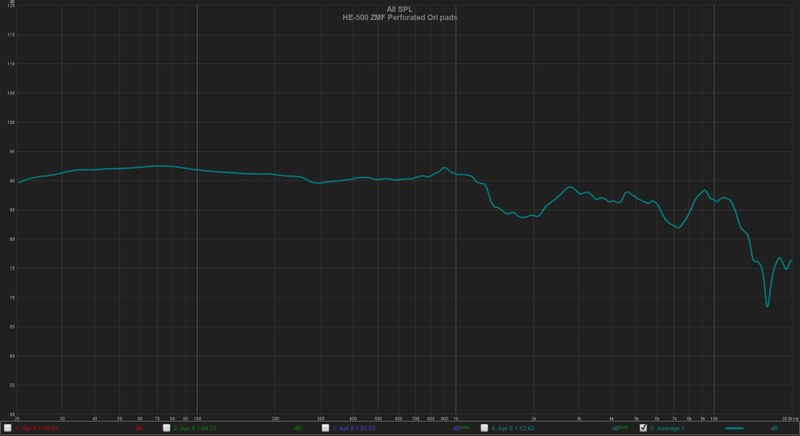 Yes, it's that dreamlike character that has me coming back to my HE-500's periodically. Funny. I used to think I was a soundstage guy, but I'm learning now it's just not that high on my headphone priority list. The 500 soundstage is great for me. I can pinpoint instruments and it feels like there's some depth to it. It's not a giant blob. Elnrik and Darren G like this. For me, these headphones do something spooky well. Voices and instruments emerge with from a clear direction in a well placed space, from blackness, with a euphoric quality. That space is not very large, but overall, it's still a mesmerizing experience. They are something special. Has anyone attempted to swap out the headband to make them more comfortable? I have seen a headband transplant using the HE400i/HE560 headband, but they seem kind of flimsy. Wondering if you can apply the Sundara headband to them. I have decided that I really really need some HE-500's in my assho-LIFE. In my life. Inside me. The jerg pad mods look amazing, and I am definitely going to do the pad leak mod to get the sub bass booming. I like how new pads can really balance it out and smoothen it, and the curve generally just looks fantastic. It'd increase clamp, for sure. Yes, with Hifiman HE-350 band. Was relatively easy. Its now much more comfortable but not something I would consider robust/durable, altough it has endured couple accidental drops from 1 meter or so. jafnvaegi and udin like this.